There’s this up-and-coming indie game out there called “Fortnite” — you probably haven’t heard of it, but it’s been stealing a lot of my time over the past few months. And when I say “stealing a lot of my time,” I mean it’s been taking away time that I used to instead spend playing World of Warcraft. Sure, part of that is because it’s a newer, different experience that I genuinely find enjoyable. But another part of that is due to a system that keeps me coming back each week. That system is the Weekly Challenges system, and I think it would work wonders for World of Warcraft. What is the Weekly Challenge system? As you might have guessed, Fortnite’s weekly challenges offer different objectives for players to complete. These challenges appear weekly. Shocking, I know. Every week, players are given seven new challenges, and every week, those tasks provide opportunities for players to go outside of their comfort zone or normal method of play for the sake of fun — and rewards, if that’s your thing. For example, one challenge might ask you to do something fairly simple like landing at a specific location on the map. Another might ask a bit more of you, such as “deal X amount of damage to other players in a single match.” And still others ask you to do some really “out there” stuff. For instance, last week’s challenge that asks you to dance in front of those weird talking fish “trophies” at seven different named locations. This final category of challenge is the best one, in my opinion, and also the one I would most love to see emulated in WoW. Outside of just generally being silly fun, these challenges encourage exploration. They give players a reason to go out and explore the map, revisiting places they’ve likely been before — but places that now have something new to offer. Moreover, it’s never explicitly told to players where exactly these sorts of challenges located. Yeah, you need to go to seven different “named locations” — but there are close to 20 in total, and they’re all fairly large. Some of them even have secret basement bunkers! There isn’t a lot of content in WoW that currently asks players to just… go explore for the heck of it. Adding weekly challenges would help change that. These challenges would be a great way to get players out in the world beyond the latest content. Want players to go see Desolace? Add a treasure there, point players in a general direction, and see them flock! Better yet — though admittedly less likely — these would give Blizzard a reason to add small doodads and objects to older zones. It wouldn’t have to be anything as massive as the Arathi and Darkshore overhauls, but why not add a building here and there? I’m sure we have some followers from Legion who have decided to do something with their lives. Give them a home and a quick line of dialog or two! Fortnite makes these small updates to various portions of the maps all the time — none of them are on the same level as the Season-opening events, but they’re still enough that players will notice. But because this is WoW, there could still be a few carrots along the way. Like the holiday events, it could offer experience for anyone who wants to go about these challenges on an alt. And for max-level players, it could reward Artifact Power (or whatever the current expansion’s farmable reward is). The trick would be making sure that it never offers so much that it feels mandatory for players who want to min/max. There will always be players who farm every possible source of Artifact Power, but I feel having a larger yet more cosmetic reward would help emphasize the exploratory nature of these challenges. Give players who complete — for example — seven of the ten weekly challenges a transmog set. Give them a title. Give ’em a mount. Whatever you want to give them, make it fit the audience who would likely participate in this content to begin with. And none of that is taking into account the weekly rewards Blizzard could offer along the way. 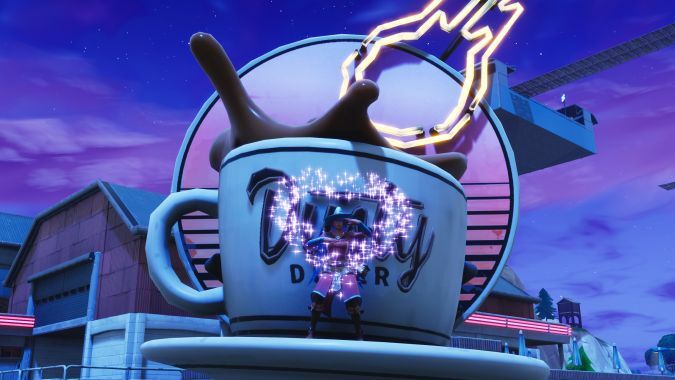 Completing a weekly challenge in Fortnite provides a loading screen, and on that loading screen is one final challenge: Find whichever object is hidden in the image and go find it on the island itself. It’s a small little bonus for your hard work that still won’t overshadow the big prize at the end of the tunnel. Okay, but how would it work? It’s one thing for a system like this to sound good on paper — it’s another for it to actually be something that can be implemented smoothly into WoW’s architecture. Thankfully, WoW’s a pretty big game, with a plethora of pre-existing systems that could easily integrate this sort of challenge system! Having distinct challenges within a larger, weekly challenge is essentially just a different take on the Emissary system. 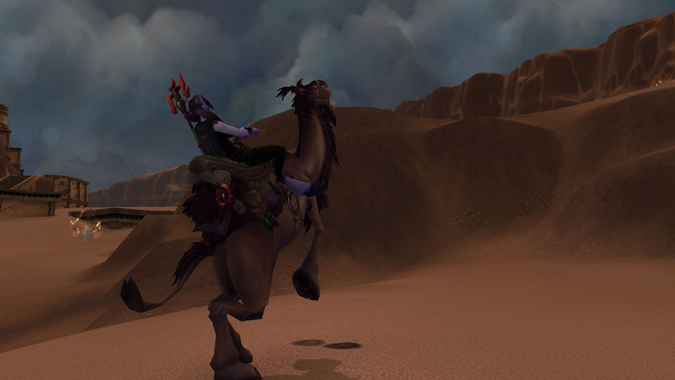 The challenges themselves could involve finding objects like Kosumoth’s orbs or the Mysterious Camel Figurine in Uldum — that is, items whose locations can’t be datamined and ones which can’t be targeted. They wouldn’t have to be as difficult or complicated to find, mind you, but they could utilize this system. Implementation of weekly challenges could utilize the PVE “Seasons” that WoW is already using when it comes to Mythic+ runs. When a Season ends, the challenges — more importantly, their rewards — disappear, and a new Season with new rewards takes its place. Again, none of this would have to be overly difficult. If Blizzard wanted, they could toss in a few harder challenges, but with several weeks of challenges whose only time limit is the very end of the Season, it wouldn’t be too difficult for any player who wants to earn the rewards to do so. The best part of this is that the content would never feel stale in the way that hunting for Candy Buckets during Hallow’s End or finding Elders during the Lunar Festival does. No offense to those holidays, but part of the reason I haven’t paid super close attention to them for ages is because, while the rewards are things I want, the way of obtaining those rewards is barely different, if at all. I suspect I’m not the only one in this boat. Seasonal challenges that roll out every week would give small but satisfying content to players that — hopefully — never feels too similar. 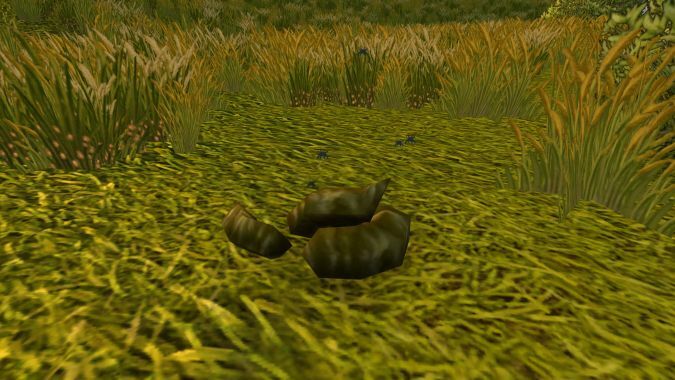 I realize this sort of content isn’t for everyone — heck, no real content in WoW is for everyone. But it’s accessible content, and it’s content that players can still turn to fansites for if they really hate the idea of doing some exploration. It happens plenty with Fortnite’s weekly challenges! But it’s up to the individual player whether or not to seek out those answers. As you may have surmised, I prefer to not look up any of the challenges. 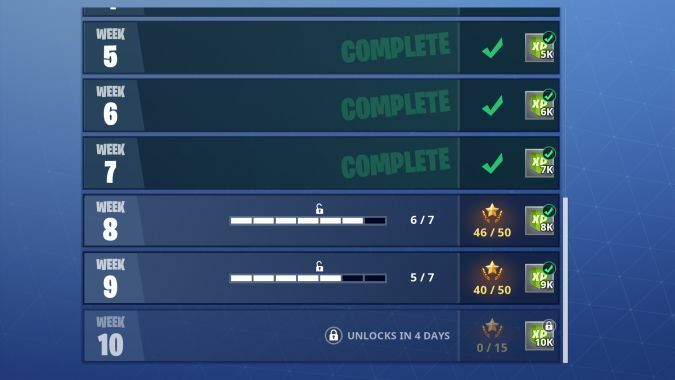 But the point of all this is that, regardless of whether or not I look up the answers, the weekly challenges give me a reason to log in each week. More importantly, they give me a reason that’s not the same reason I had the previous week. Elements of it are similar, sure — but imagine logging into WoW after weekly maintenance and having something completely new each and every week. It wouldn’t have to be story driven. It wouldn’t have to further your character in a way that’s mandatory. But it would give you something to do that you hadn’t yet done. We’ve already seen the Secret Finding Discord jump all over some of the most advanced challenges that get added with various patches. Why not give the average player something like those? Something that challenges them to do some puzzle-solving or secret-hunting, but something that can be solved on an individual level? Fortnite’s done it, and it’s worked like a charm on me — Yogg only knows what it would feel like with the ol’ Blizzard polish behind it.